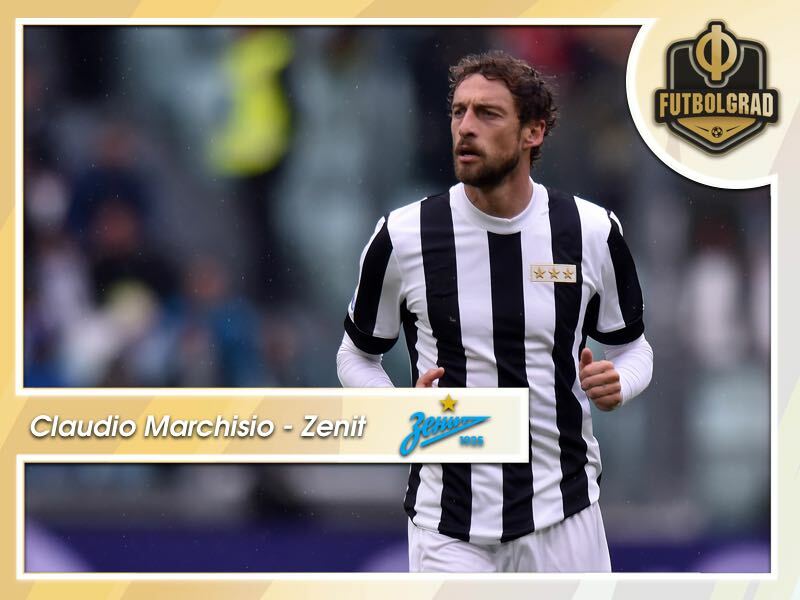 Claudio Marchisio – What can he add to Zenit? New Zenit St. Petersburg signing Claudio Marchisio seems likely to make his debut for his new club this weekend away at Orenburg. The midfielder signed for the club as a free agent in early September following the termination of his contract at Juventus – and the end of a 25-year association with the club – in August. A question on the lips of some this week, following the fall-through of John Terry’s Spartak Moscow transfer, has been whether the Claudio Marchisio transfer is superficially similar – an attempt to garner press attention and shift some replica shirts rather than strengthen the squad. The answer to this question is no. Claudio Marchisio is a good deal younger than Terry at just 32 and is actually younger than the player he has ostensibly been signed to replace – 33-year-old Christian Noboa, who has recently been sidelined until February with a cruciate ligament rupture. It is difficult to disagree that technically Marchisio is superior to Noboa in any case, and would have likely usurped the Ecuador international anyway. Zenit will benefit from Marchisio’s versatility which sees his ability to play a deeper midfield role as well as support the attack and contribute goals. Ever since Axel Witsel’s departure in early 2017, Zenit have struggled to fill this box-to-box role and as a result, have failed to dominate games in the way that they did when the Belgian controlled their midfield (and mopped up in defence, and started their attacks – seemingly all at once). In a Premier Liga season when Zenit’s rivals seem to be in transition mode, Marchisio could be the cornerstone of a title win and a proper European run. That said, there is no guarantee that Marchisio will be a success. He doesn’t have the tackling ability of Witsel, and probably not Noboa. I also have a nagging doubt as to whether a player who has spent 25 years at another club will adapt easily to Russia and Zenit – despite the international squad at the club. A lively home atmosphere and good attendances at the St. Petersburg Stadium should at least feel a little like at Serie A. There are also questions over the player’s fitness. Marchisio has been injury-prone and has missed large chunks of seasons in recent years. Zenit will be wary of, with Financial Fair Play restrictions and no Champions League money to spend, a highly-paid player being in the treatment room more than on the pitch.